Our last camper week of the 2016 Season, where did the summer go? We also good-bye to 4 staff members who are headed off to Philmont and college. 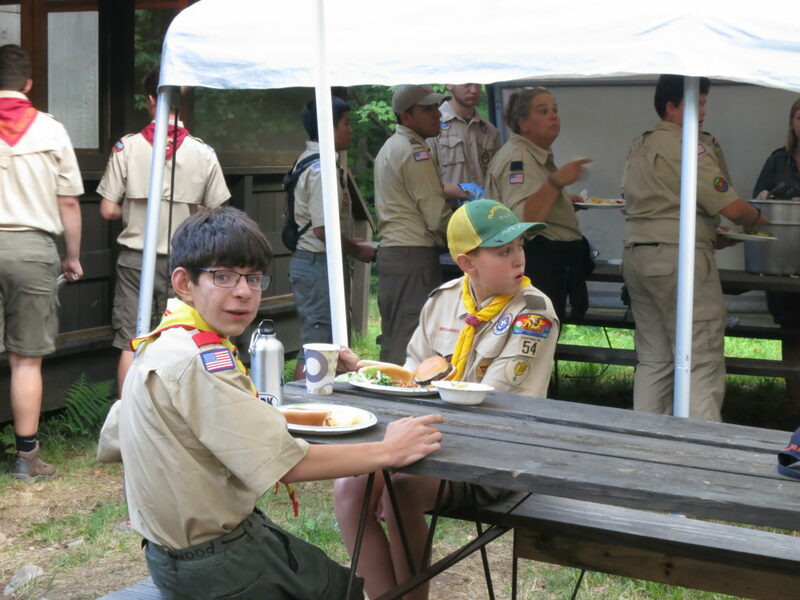 We welcome in units from Newark, North Haled, Ho-Ho-Kus, Garden City, NY, and Lyndhurst doing treks across the Adirondacks starting from Raquette Lake, southern Long Lake, and Rollins Pond. Garden City, LI troop, including long-time Floodwood staffer (1980-1987) Dirk Marschhausen returning as an adult leader. 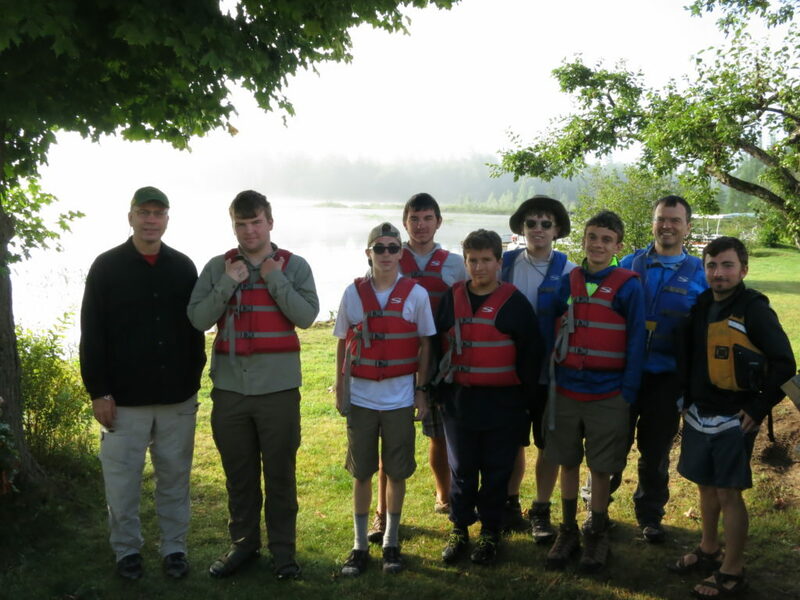 Staff members Patrick Marschhausen, Chris Levant, and Mike Wirth shown with Dr. Graham and boys from their troop.